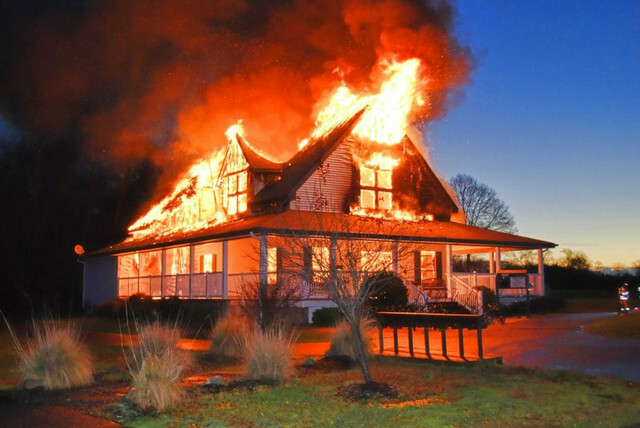 5 Tips To Prevent Fire At Home | Fires often happen in our society. Often we see in the chest of fire events like this happen regardless of place, time and condition. However, fire is one thing that we can break it down. We share some tips on how to prevent fires. Please make sure your home is safe before leaving your home. Here are 5 Tips To Prevent Fire At Home That We Can Practice While At Home. Place the heater at a distance of 3 feet or one meter from any flammable object. Make sure the used ash is large and wide. Wash the container before use then do not smoke when going to sleep. It is better if NOT to Smoke. Replace damaged or twisted wires. Always be aware of electrical appliances used such as smelly, smoky and overheated equipment. These 5 Tips To Prevent Fire At Home can help you to avoid such an occurrence. When it does, regrets are then useless.